In the last installment we discussed what type of FullSizeFord you might be searching for. This time we’ll be talking about some ideas on where to find these cars whether it’s a project, daily driver, or concours quality restoration that you’re looking for. We’ll also show you some pitfalls to avoid for when shopping for the full-size Ford, Mercury, Lincoln, or Edsel of your dreams. 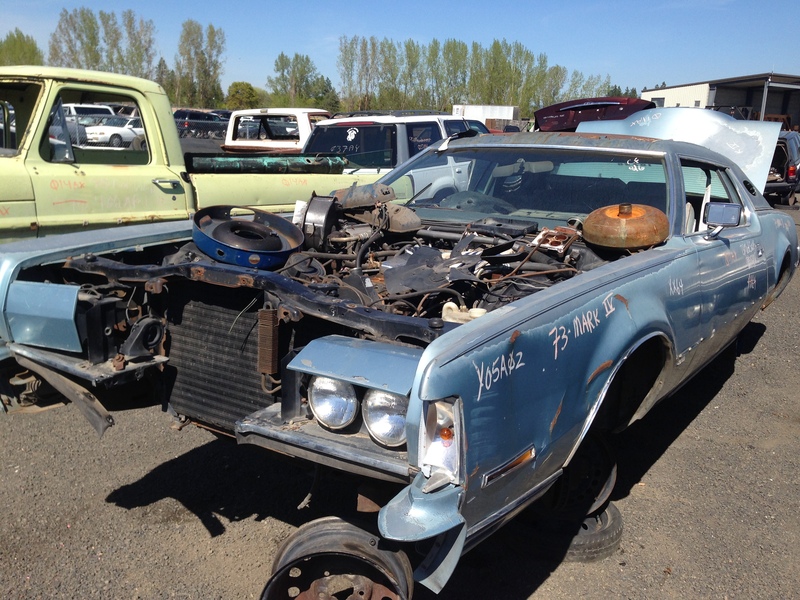 On a recent trip to our local U-pull it yard we came across this once posh 1973 Lincoln Continental Mark IV now left for dead for the scavengers to have their way with it. It’s big 460 cubic inch 4-barrel Ford V8 was still mostly intact. The Ford 9 3/8 rear end is still in the car. The 9 3/8 is a close cousin to the 9-inch and is strong with 31 spline axles but parts are not near as plentiful as they are for the much revered 9-inch. A 9-inch center section will bolt directly into the housing. According to the warranty plate, the rear end in this Lincoln is sporting freeway friendly 2.75 gears. This car will also have the not as common 5 on 5 inch wheel bolt pattern. This once proud example was built at the Wixom, Michigan assembly plant which was closed in 2007.